Donald Trump's new label: "loser." Donald Trump now has a target on his back. Above, the Republican candidate works a rope line after a town hall event on Jan. 29, 2016, in Nashua, New Hampshire. Donald Trump–fearing Republicans discovered something firsthand Monday night that the former-reality-television-star-turned-political-celebrity has known for years: It sure is fun to call someone a loser. Now the party’s faithful wants conservative voters to point and laugh along with them. It’s a line of attack that Trump’s rivals have used before, but we can expect to hear a whole lot more of it now that he appears wounded for the first time of his campaign. His rivals won’t have to go digging to find examples to buttress their case: There’s Trump Airlines, Trump Mortgage, Trump Steaks, and Trump University, to name but a few Trump-branded flops. The billionaire, of course, can counter with any number of his financially successful ventures, but his opponents are hoping that voters will open their eyes to his weaknesses after his Iowa loss and that attempts to brand Trump as a loser will stick. Will they? This strategy is not guaranteed, as Trump’s supporters have proved to be a loyal bunch when their candidate was attacked. Trump, meanwhile, remains well positioned to win New Hampshire, where he’s up in the polls by more than 20 points on Cruz and the rest of the field. Yes, Iowa’s results suggest his numbers may be inflated—but that’s about four times the cushion he had in Iowa, where he finished about 3 percentage points behind Cruz, despite a caucus process and electorate that was never as friendly to Trump as he seemed to think. Trump looked (relatively) humbled in Iowa on Monday night and arrived in New Hampshire on Tuesday appearing weaker than he has in months. 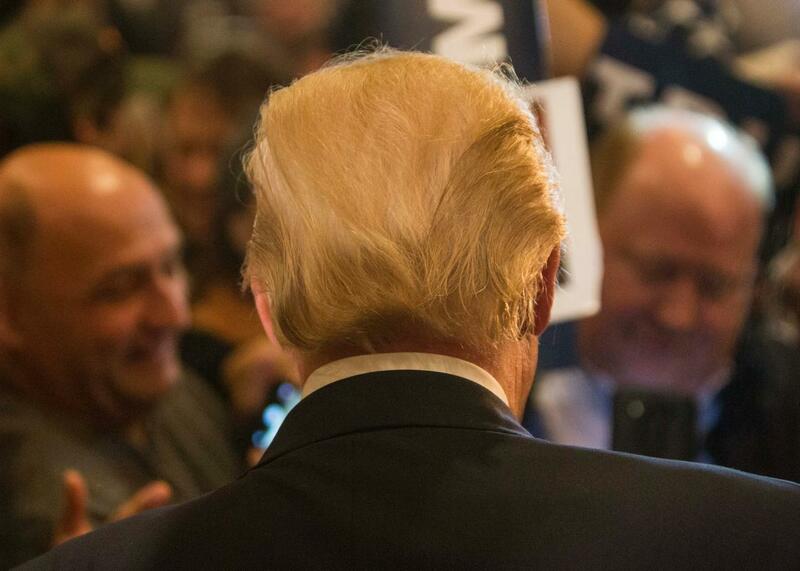 The challenge for the GOP establishment, then, is to convince voters that he really is. If they fail, though, Trump could be back to his winning ways as soon as next week.